We have a tendency to want to label the way we eat and what we eat. It makes sense because it provides a shortcut, and we love shortcuts because they make life a bit easier. I’m a qualitarian who focuses on eating unprocessed, fresh, whole foods that are – when possible – organic and locally grown or raised. In addition, because of my personal health history and what I’ve learned about my body over the years about the impact of two foods on my health, I avoid milk products and wheat. I leave room for indulgences like birthday cake, high quality dark chocolate, or a homemade cookie or cupcake, but I focus on eating nourishing foods most of the time because I feel most energized and alive when I do. I like feeling good. I choose to do what I do because of how it makes me feel. 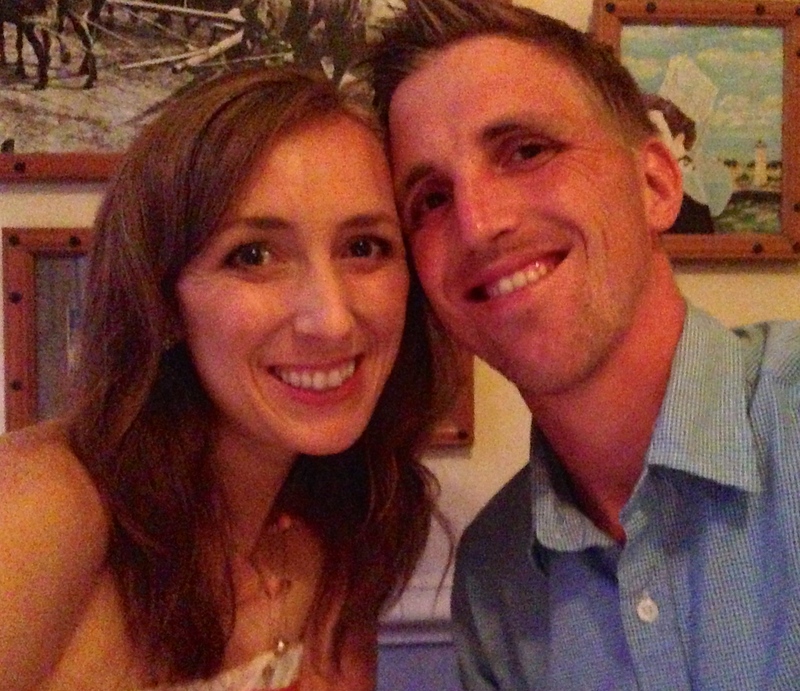 Feeling good on my 30th birthday…celebrating another special year of life at a French restaurant with my hubby! This food list by one of my favorite nutrition and health experts – Dr. Junger – captures the gist of what I eat (since people sometimes want specifics! ), but I eat things outside of this list as well, so these are just the general guidelines by which I make food choices rather than absolutes. My qualitarian “diet” focuses on fruit, veggies, beans, gluten-free grains/cereals/pastas, nuts and seeds, free-range/grass-fed animal meats/eggs as well as vinegars, oils, herbs and spices for flavoring and cooking. One of the most interesting things I’ve learned since changing what and how I eat and delving deeper into studying nutrition is that most of us are overfed yet undernourished. Most of what we’re eating is so nutrient-deficient that our body tells us to keep eating – it’s not being “fed” what it needs. What we’re eating actually depletes our body of nutrients, making us work even harder to replace them. It’s only when we start taking in nourishing food that contains nutrients we need to thrive that we can really start to feel full and satisfied. I’ve found that following a few clear and simple Food Rules from Michael Pollan’s book of the same name (GREAT book!) helps to keep me on track. 1) Eat food, not too much, mostly plants, especially leaves. I’m not vegan or vegetarian, but I make plants a priority at each meal. Upgrading my diet to include lots of plants has been a key to me keeping off weight and not getting sick. I focus on incorporating a variety of leafy greens because they are anti-inflammatory, detoxifying, oxygenating and contain disease-fighting, anti-aging compounds. Overall, I eat more vegetables now than I ever have before. I treat veggies more like the main course and the other foods (grass-fed meat, gluten-free grains, beans, etc.) as the side dishes. What’s real food? Something that grew in the ground, on a tree, or in a field OR was at one time alive and moving on land, air or water. The life in food makes us feel alive. So much of what we eat today isn’t real food, it’s a food-like substance. We wouldn’t find the ingredients in a normal person’s pantry…they’re more likely to be found in a chemistry lab. The remaining rules will give you a better idea of how to tell if something is a real food or food-like substance. Eating real food means enjoying lots of fresh and colorful fruits and veggies! 3) If it came from a plant, eat it; if it was made in a plant, don’t. Did someone have to wear a surgical mask and a full body suit to manufacture your food? Would you even recognize your food as food when it is being “created” like this American favorite? Focus on eating real food vs. what was processed in an industrial plant. It’ll have fewer chemicals, your body will know what to do with it, and you’ll look and feel better and more energized. 4) Eat only foods that will eventually rot. In general, the faster a food spoils, the more nutrients it has and the better it is for you. If a processed food stays “fresh” on the shelf or in your pantry for a year, what’s in it that’s making it last so long? Most likely lots of chemicals, preservatives and other harmful additives that overburden and damage our bodies. Check out this story about a man who kept a McDonald’s burger for 14 years and how well it was preserved. 5) Avoid food products that contain more than 5 ingredients. This is a great rule of thumb to follow. Is it a hard and fast rule with no exceptions? No, but try to keep it in mind the next time you’re grocery shopping or cleaning out your pantry. Forget about the pretty marketing on the front of the package and go straight to the ingredient list. Aim for foods with fewer ingredients, ideally 5 or fewer. If you want to take an initial step and make healthier choices when it comes to processed foods, check out this super cool, free app on your phone. If you have kids, have them use it and strive for “Bs or better,” just like they would in school. 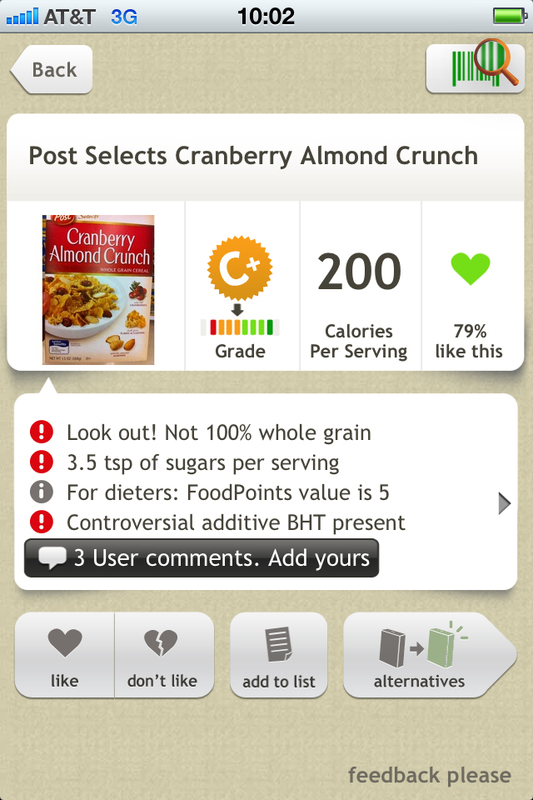 The Fooducate app. Download it on to your phone today! 6) Avoid food products that contain ingredients a third-grader can’t pronounce. Assuming we’re not talking about the genius third-graders who are winning the national spelling bee, if a third grader can’t pronounce it, chances are it is not a real, whole food. In other words, it probably won’t give you lasting energy, help you lose weight, or keep you healthy. Sodium benzoate or monosodium glutamate (MSG), anyone? We’ve lost touch with where our food comes from and how it is prepared. We all feel pressed for time these days, but most of us (myself included!) still find at least an hour a day to be online, watching TV, or on social media at home. Cooking doesn’t mean you have to be a fancy chef either. Just focus on using simple ingredients with simple preparations. Start with something like this burrito bowl or one of these smoothies. We always make time for the things that matter. If we want to be in the best health possible, cooking matters. 8) If you eat real food, you don’t need rules! Focus on eating more whole foods that don’t come in packages. Shop the perimeter of the grocery store or, better yet, the farmer’s market. Eat food that was once alive. This way of eating can fit into even the busiest life. It can (and should!) taste delicious. And it doesn’t have to break the bank. 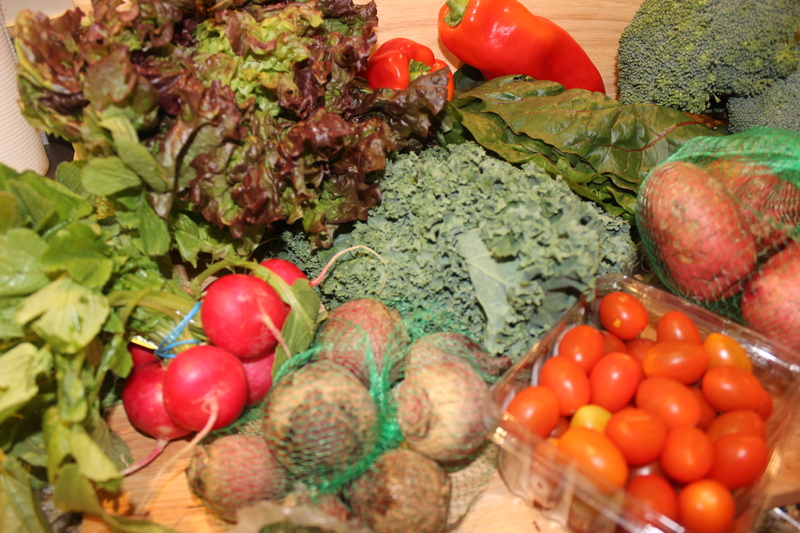 Check out this post for tips on how to eat organic without going broke. For links to all of the recipes I’ve posted on this blog, click here. Deliciously Dairy-Free Mini Cheesecakes…3 Ways! Wow Thank you! That is very kind of you. I like to focus on the positives, as you mention. My philosophy reflects my health coach training – “upgrade” in order to “crowd out!” Feel free to share with anyone in your community you think would be interested 🙂 thanks again for taking the time to comment! I appreciate it.